Her strong arms hammer the spearhead to a point. Sweat mingling, my hands over hers, I cast spells into the runes she etches on metal. Her skill. My magic. A hero’s weapon. I back away, too shy to speak my heart. 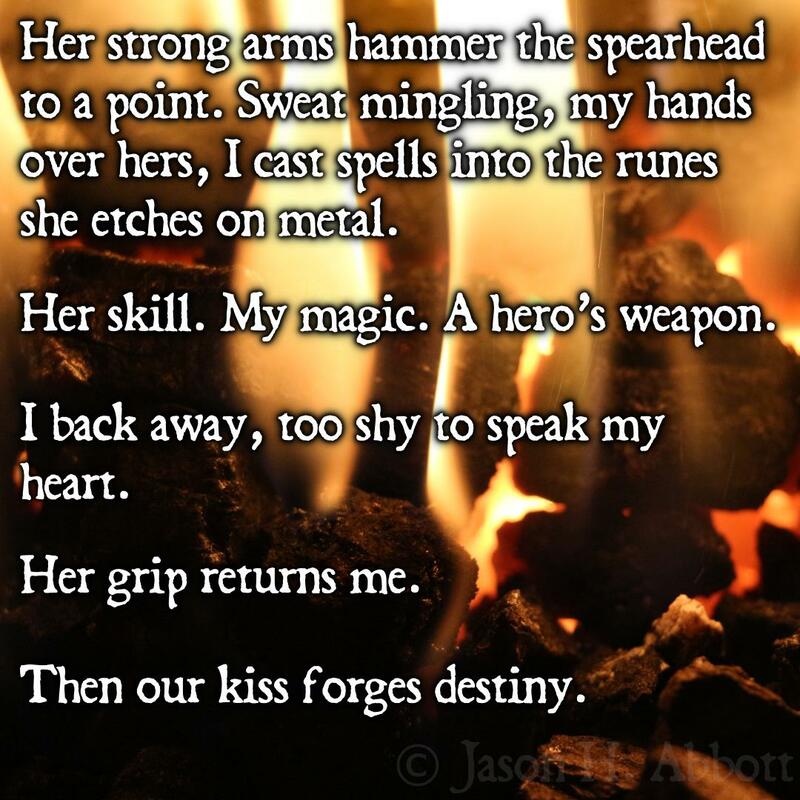 Then our kiss forges destiny. This is really good. The start of a book. Or at least the excerpt some fantasy novels like to put before the first chapter. So good. I wanted to write something where a man and woman are falling in love, but each embody attributes usually associated with the other gender in the prose. I was happy with this one because I think it worked well and connected with a lot of readers. Oh man, with that info, I almost want the whole book more! To see how that relationship stands juxtaposed to the rest of the world. How it’s tested, perhaps. But that might just be my head. Great stuff.